HomeDog NutritionCan Dogs Eat Broccoli? Is It Safe For Them? However, there is a lot more to the story than that. Firstly, just like humans, dogs have daily nutritional requirements, whatever you decide to feed your pooch will affect these levels; whether it’s good or bad. 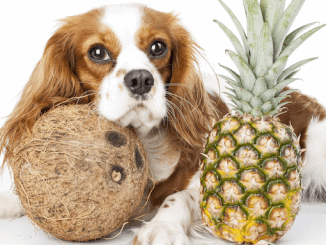 We know that certain fruits and vegetables can be powerhouses of goodness for our pooches, we also know that some can cause stomach upsets and a whole host of other problems. In this article we consider the nutrients that dogs require on a daily basis and how broccoli fits in with these. We will share how much broccoli a dog can safely eat and also how best to cook and serve it. 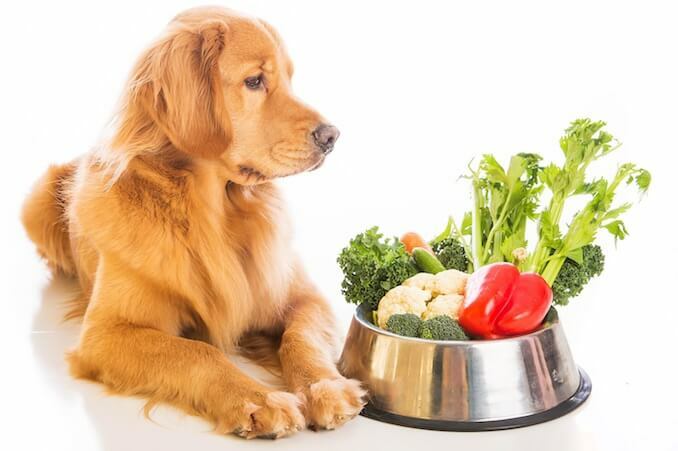 Your dog requires a balanced diet in order to survive and thrive. This should include, carbohydrates, protein, fats, vitamins, minerals and water. Also known as the big six. Dog foods generally consist of proteins, fats and carbohydrates and are fortified with vitamins and minerals. The amounts of each nutrient should be balanced and varies depending on whether you feed, dry, canned, dehydrated or raw feed and the quality of each feed. Why Does My Dog Need Nutrients? Nutrients are a substance which provide your dog with essential nourishment required for development, growth and maintenance of life. Let’s learn a little bit more about the big six nutrients. 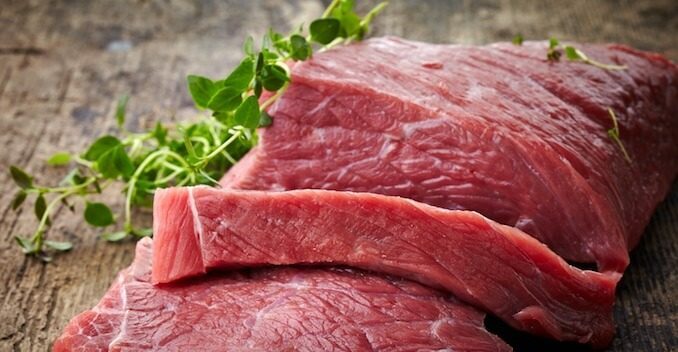 Meat is a very easy and efficient protein source due to sharing the same structure of your dog’s tissue. Dietary protein provides the essential amino acids that dogs are unable to produce by themselves. Proteins are part of every cell in the body and are vital to its function. Guidelines suggest that when growing, a pup should be fed at least 4 – 6 grams of protein per pound of body weight (i.e. 9 – 12 grams per kg of body weight). When matured, at least 1.2 grams of protien per pound of body weight (i.e. 2.62 grams per kg). This is three times more than the recommended 0.8 grams of protein per kg of body weight for humans. When we talk about protein, we are generally considering meat sources as the most beneficial form for dogs. Yet some vegetables can provide a source of protein. Omega 3 is a healthy fat for your dog which helps their heart and contributes to a health diet. 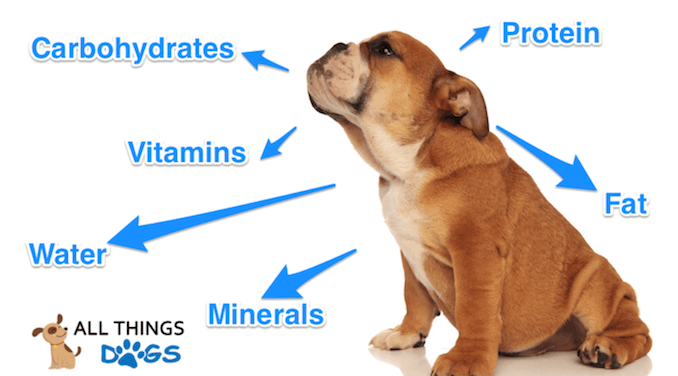 Fats in a dog’s diet provides the most concentrated from of energy. Fatty sources include meats and seeds. Like protien, fatty acids are vital in cell structure and function. Essential Fatty Acids contribute to skin and coat health in dogs and also vision. Saturated fatty acids are used primarily for energy whereas unsaturated are found in cell structures and membranes. It is suggested that mature dogs should have at least 0.5 grams of at per pound of body weight (i.e. 1.3 grams per kg) in their daily diet. 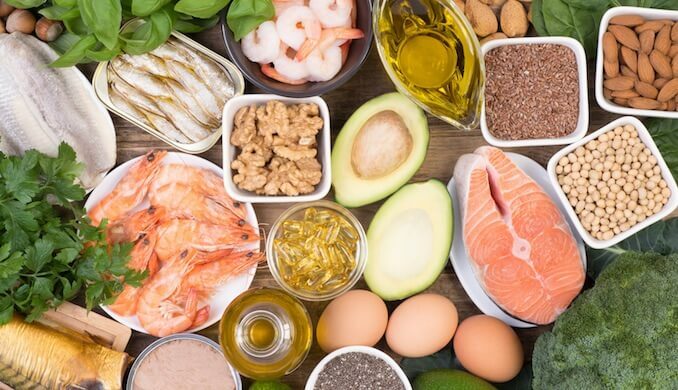 Dietary fats also support the absorption, storage and transport of vitamins (e.g. A, D, E and K). No price for guessing where your dog gets vitamins from! 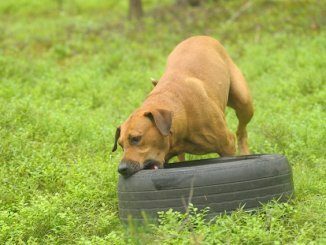 All bodies, including dogs, require vitamins for growth and maintenance. You are probably familiar with the range of vitamins that humans require to stay healthy. 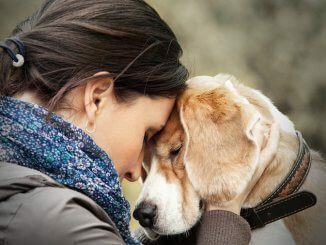 Dogs require many of the same, but obviously in different doses. Vitamins have a range of functions, from Vitamin D contributing to healthy bone development to Vitamin K and its role in blood clotting. Minerals support the body’s structure and it’s functions. They also contribute to the regulation of many processes, for example; maintaining blood-glucose levels. Minerals include calcium, phosphorus, iron, zinc and magnesium and many more. For more information on the individual vitamins and minerals dogs require, this is a handy resource. Water is often defined as the most important nutrient in any body. Clean, fresh water should be available for dogs at all times. The amount of water a dog requires will depend on their diet, lifestyle and daily activity level. We know that canned food contains on average 60-87% water and dry food 3-11% water, so it stands to reason that those dogs eating a kibble diet will drink more water than those on a wet food diet. In a typical environment – not suffering extremes of temperatures, it is suggested that dogs require between 20 and 30 milliliters of water per pound of body weight (i.e. 44 to 66ml per kg). So for a large dog (like the Shiloh Shepherd), this can be as much as 3.2 litres of water a day, whereas a smaller dog (like a Morkie) this might be 300 millilitres. But dogs do tend to self regulate when it comes to drinking water. Carbohydrates provide energy for your dog. Properly cooked non fibrous carbohydrates are generally used well by dogs and they provide essential energy especially when active, growing or lactating. 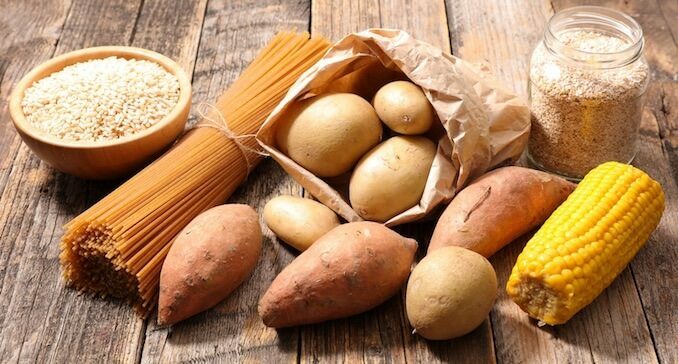 Poorly cooked or poorly absorbed carbohydrates, usually result in flatulence or diarrhea so it is relatively easy to see if your dog is utilizing the carbohydrates in his diet. There are no current guidelines for required carbohydrates in a dog’s diet, and it is argued that dogs need protein and fat more than they need carbohydrates. Broccoli is low in fat and calories. Making it a healthy snack for your pooch, without the worry of weight gain. So how does Broccoli fit in with these nutrients and your dogs diet? Broccoli contains a wide range of vitamins and minerals, both of which are used to fortify your dog’s fats, protiens and carbohydrates. 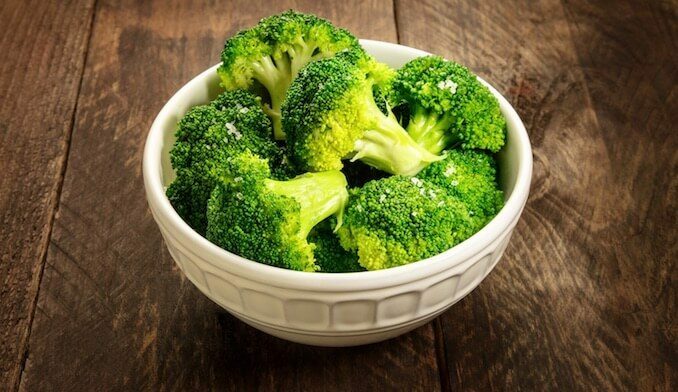 Broccoli’s content of vitamins and minerals increase your dog’s immunity and it has a protective action against heart disease, maintains healthier bones and skin and also contributes to better digestion. We also know that some of the vitamins and minerals found in broccoli provide a protective action against certain cancers. However, broccoli also contains isothiocyanates which are known to cause gastric irritation in dogs. How Much Broccoli Can Dogs Eat? Broccoli is deemed generally safe if it doesn’t take up more than 10% of your pooch’s daily diet. Over 25% of their daily diet would be considered toxic! We have established that dogs can eat broccoli, whilst they can eat broccoli raw it’s best to steam it. Your dog should not eat leaves from the broccoli. How Do I Prepare Broccoli For my Dog? It is generally advised that cooked broccoli is the safest option for your pooch. It’s best served unseasoned and steamed. Cut the heads off into bite sized chunks for your pooch. Don’t feed the stems as they pose a choking hazard, especially for smaller breeds. Pop into the steamer and cook! Be mindful to not overcook, keep some of the crunchiness. You can also boil broccoli if you want to. So as above, chop the heads off into bite sized chunks and pop into boiling water; 5-7 minutes in the water should be ample time to cook but remain crunchy. …why not treat them to a homemade chicken, broccoli and rice dinner?! Is Broccoli Bad For Dogs? As you would with any new food, start feeding small amounts to see how your dog tolerates it. Ideally, broccoli would be given as a snack or a treat to avoid over-feeding. Remember, it shouldn’t make up more than 10% of the daily diet. If you notice any change in bowl movements or vomiting, stop feeding it immediately. Over-feeding broccoli can actually be fatal. As with any food, owners should be mindful of the overall quantity they are feeding their dog. You can visually check whether your dog is a healthy weight by looking for a waistline. If you palpate (i.e. examine) their body, you should be able to feel their ribs. If you are looking down from a bird’s eye view, your pooch should have an hourglass figure. If you are concerned about your dog’s weight, please discuss with your veterinarian. Broccoli requires full sun and moist, fertile soil. How do you grow broccoli? Broccoli is a member of the cabbage family and grows in the ground. It is a cool season crop which grows best in the spring or fall. Start by laying 2-4 inches of rich compost and place seeds about 0.5 inches down and plant seeds 12-24 inches apart, with 36 inches between each row. Water frequently. Most crops are ready to harvest between 55-65 days. Harvest when the heads are firm, before they flower. Cut the heads off and leave the stem. Harvested broccoli can be kept in the freezer if you don’t think you’ll use it within 5 days! Broccoli was native to the eastern Mediterranean and Asia. It was cultivated in Italy during the Roman times and then brought to England and America in the 1700’s. Can a dog eat too much broccoli? It is advised that no more than 10% of your dog’s daily diet should consist of broccoli. 25% would be deemed fatal. Gastric irritation would be the first symptoms that a dog had eaten too much broccoli (e.g. vomiting and diarrhea). We know that it is full of vitamins and minerals, but just like humans, dogs have recommended daily allowances so it is vital to not over feed. Broccoli is in fact a powerhouse of vitamins and minerals. Dogs can eat broccoli in moderation. 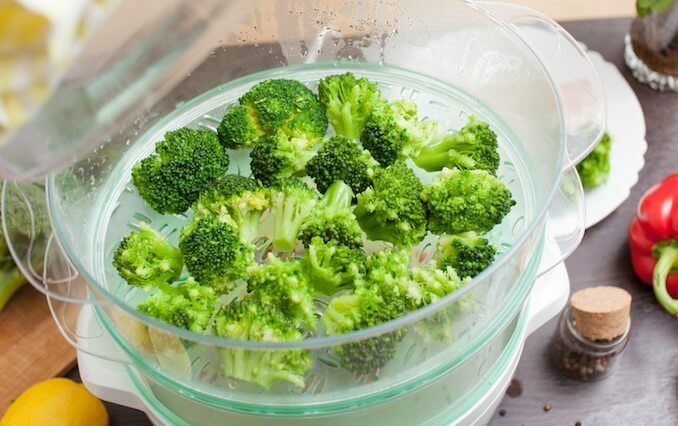 To be safe, broccoli should be cooked before serving; steaming is perfect! Remember to cut it into bite sized chunks to suit your pooch, and leave the stems behind. Broccoli shouldn’t make up more than 10% of your dog’s daily diet, so served as a treat or snack is perfect! Over-feeding broccoli could in fact be fatal. Do you have any broccoli recipes your pooch loves? Feel free to share them in the comment section below.